Directions: Pour into separate vessels (or mix them together) and serve. Mother needs a drink, too! Cheers, friends! Add your drink recipes and PG-rated drinking songs in the comments below. (Jeez–was there nothing those do-gooders in the WPA didn’t get their mitts all over?) Have a great weekend! 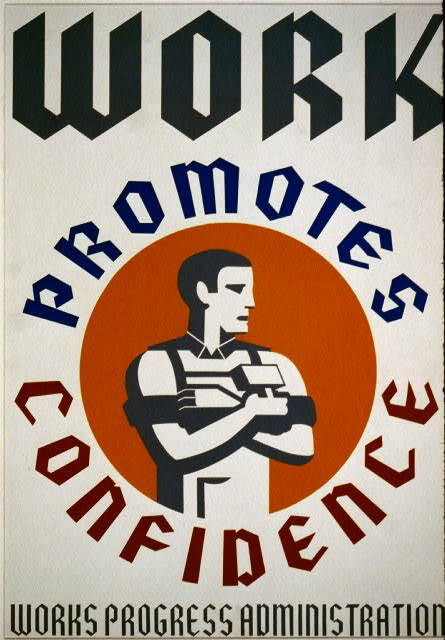 I love WPA art, and have a beautiful book called “Posters for the People: Art of the WPA.” by Ennis Carter and Chris DeNoon. They really did cover it all! I do not, however, love Boilermakers. Beer, yes. Whiskey, sure. Together? Worst. Hangover. Ever. I covered 280 miles in just under six hours today, does that work as work? Also got a little grading done. I’m holding to some unadulturated Mango juice, though. You know, we could get this corner of the non-peer reviewed internets peer-reviewed in no time if you’d appoint an editorial board; and thus maybe make it promotionable! But it would be strictly not-needed. Just seeing the recipe of a boilermaker caused a quick flashback of a memorable evening from 30 years ago and my whole dinner practically came up. Love the WPA posters and the drink recipe! I have a suggestion and a question. Try mudder’s milk from the Joss Whedon’s Firefly (http://firefly.wikia.com/wiki/Mudder%27s_Milk): “all the protein, vitamins and carbs of your grandma’s best turkey dinner, plus 15 percent alcohol.” Perfect for us toiling in academia! 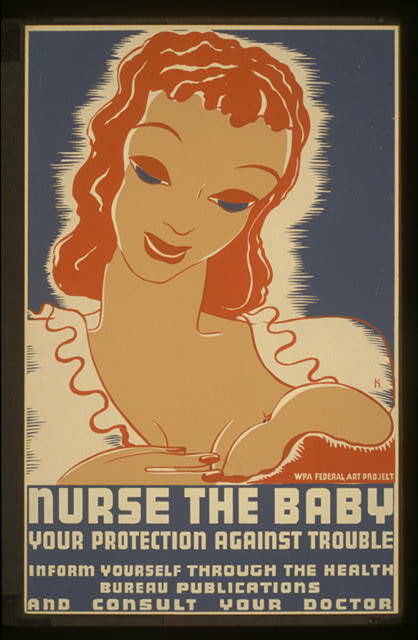 Also, I was wondering if anyone might have seen an image that I was reminded of by the WPA posters. It’s of a Rosie the Riveter type woman sitting on the beams of an under construction skyscraper and nursing/holding her child. A professor of mine many years ago had it on her office door, but I have never seen it again. Doing oral histories of uranium miners, I learned about this protein-packed concoction created by miners when they were faced with the choice between dinner or drinking due to poor financial planning. 3. Pour beer into glass, top with Kraft Parmesan style psuedo-cheese from container on table. The psuedo-cheese should float on the top making a layer of protein. 4. Drink. Re-adding psuedo-cheese as necessary. 5. Order more pitchers and repeat. 6. Drive home and hopefully not wreck the truck or kill anybody. I have drunk said cheese beer (although not at Pizza Hut) while doing an interview with a former miner. It’s not nearly as bad as it sounds. And it’s one of the better interviews I collected. Being a Boilermaker from Purdue, that’s a familiar drink! I’ve seen vodka used in the mix with some success. However, I don’t recommend the cherry brandy variant I saw someone try to promote once!